A pre-race sample was taken from Zipping Benny. Hurricane Blake and Bombardier King were slow to begin. Zipping Benny and Inter Mimi collided on the first turn checking Inter Mimi. Virage De Kahn and Inter Mimi collided on the first turn and again on the home turn checking Inter Mimi. A pre-race sample was taken from She Got Fire. Never Rest was slow to begin. She Got Fire and Meraki collided soon after the start and again approaching the first turn. Lightfoot Lass, Sight To See, Zipping Caesar and Zipping Navy collided on the first turn checking Lightfoot Lass and Zipping Caesar. She Got Fire raced wide on the first turn causing Akina Spot And Meraki to race wide. Meraki clipped the heels of She Got Fire approaching the home turn. She Got Fire, Akina Spot and Meraki collided on the home turn severely checking all three greyhounds. She Got Fire was vetted following the event. It was reported that there was no injury apparent. Never Rest was vetted following the event. It was reported that the greyhound sustained an injured right back muscle, a 60 day stand down period was imposed. Stewards spoke to Mr. M. Carr the representative for She Got Fire regarding the greyhound's racing manners approaching the home turn. Mr. Carr stated that Meraki clipped the heels of She Got Fire several times approaching the home turn then galloped on the greyhound causing her to be severely checked. Stewards noted Mr. Carr's explaination and took no further action. Galloping Nikki was a late scratching at 6.14pm on the advice of the Club's Veterinary Surgeon due to illness. A 7 day stand down period was imposed. Hurricane Craig was a late scratching at 5.55pm on the advice of the Club's Veterinary Surgeon due to injury. A 5 day stand down period was imposed. A pre-race sample was taken from Keep 'Em Keen. Berry Bound was slow to begin. Oz Wizard crossed in approaching the first turn checking Zipping Dale. Oz Wizard was checked off Got The Double approaching the first turn. Got The Double and Hurricane Billie collided on the first turn. Zipping Dale and Berry Bound raced wide in the home straight. A sample was taken from Got The Double - winner of the event. A pre-race sample was taken from Lemonade Kid. Go Go Guru, Soda King, Cosmic Sole and Dyna Arrow were slow to begin. Go Go Guru, No Passengers and Cosmic Sole collided on the first turn checking Cosmic Sole. A sample was taken from Snoop A Loop - winner of the event. A pre-race sample was taken from Double Black. Galloping Rokyto, Baggy's Request and Brayden Lennox were slow to begin. Baggy's Request was checked off Galloping Rokyto approaching the first turn. Good Move and Galloping Rokyto collided on the first turn checking Good Move. Galloping Rokyto was checked off Double Black on the first turn. Double Black was checked off Not Loitering approaching the home turn checking Galloping Rokyto. A pre-race sample was taken from Cee Jay Ace. Dyna Reaver, Dealer Wins and Cee Jay Ace were slow to begin. Dealer Wins and Sarah Smirnoff collided on the first turn and again approaching the home turn. Dyna Reaver and Dealer Wins collided on the home turn. Dealer Wins and White Fernando collided approaching the winning post. A pre-race sample was taken from Star Reiko. Star Reiko was quick to begin. Boone, Weeona Yoshi and Modern Jagger were slow to begin. Bush Song and Zipping Buffy collided on the first turn. Bush Song and Diamond Icon collided on the first turn. Bush Song and Diamond Icon collided several times approaching the home turn checking both greyhounds. Zipping Buffy and Star Reiko collided several times on the home turn checking both greyhounds. A pre-race sample was taken from Sparky Neveelk. Coolan Flash was quick to begin. Duke Of Burnley and Sparky Neveelk collided on the first turn. Lady Spur was checked off Winning Broke approaching the home turn. Lady Spur faltered on the home turn and subsequently tailed off. Lady Spur was vetted following the event. It was reported that the greyhound sustained a fractured right hock, a 60 day stand down period was imposed. A pre-race sample was taken from Blistering Betty. Ishmy Lady was quick to begin. Menzies Avenue and Blistering Betty crossed to the rail soon after the start checking Ishmy Barry. Yuken Pay Me and Spotlight collided approaching the first turn. Ishmy Barry and Inter Santina collided on the first turn checking Inter Santina. Tory's Rocket was a late scratching at 5.47pm on the advice of the Club's Veterinary Surgeon due to an elevated temperature. A 5 day stand down period was imposed. A pre-race sample was taken from Big Brute. Big Brute, Inter Cody and Courting were slow to begin. Courting was checked off Flash Logie approaching the first turn. Bluwy and Inter Cody collided on the first turn. Inter Cody was checked off Bluwy on the first turn. Extreme Summer was checked off Flash Logie approaching the home turn. Inter Cody galloped on Courting approaching the home turn severely checking Inter Cody, Courting and Bluwy. Inter Cody and Courting collided entering the home straight. Courting was vetted following the event. It was reported that there was no injury apparent. A pre-race sample was taken from Feikuai Donna. Mepunga Bonnie was slow to begin. Shanlyn Georgie, Feikuai Donna and Jebrynah Helios collided on the first turn. Shanlyn Georgie and Feikuai Donna collided approaching the home turn checking Shanlyn Georgie, Small Rose and Vanishka. A pre-race sample was taken from Libby's Dream. Trim City was slow to begin. Little Samara and Trim City collided soon after the start. Tinker Bess, Venus Allen, Pistol and Libby's Dream collided on the first turn checking Little Samara, Venus Allen and Trim City. Venus Allen and Trim City collided approaching the home turn. Stewards noted the muzzloe of Tinker Bess became dislodged soon after box rise. 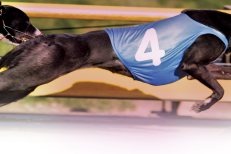 Tilley's Pie trialled over 400 metres from box 1, weight 26.2kg, the greyhound was placed first in a field of 4. The time of the trial was 23.32 secs, the greyhound won by a margin of a neck. Tilley's Pie was cleared. Funky Facts trialled over 400 metres from box 4, weight 29.2kg, the greyhound was placed second in a field of 4. 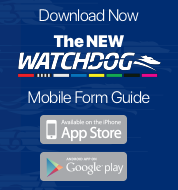 The time of the trial was 23.32 secs, the greyhound was beaten by a margin of a neck. Funky Facts was not cleared.